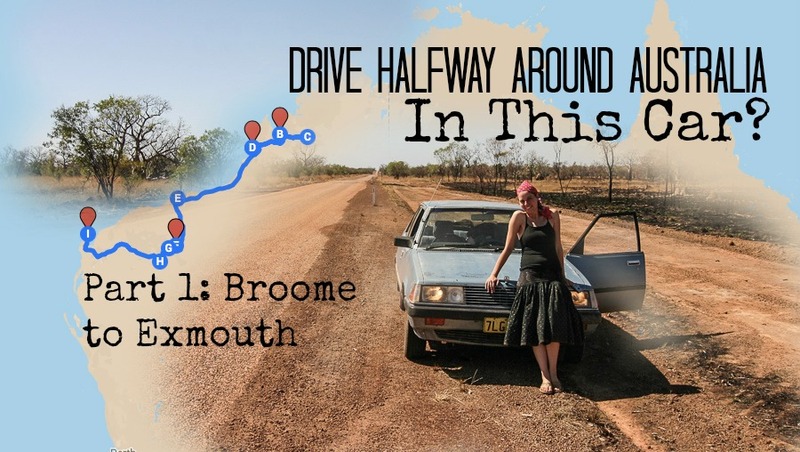 In August 2008 we embarked on an epic road trip from Broome, in Western Australia, to Melbourne. A journey that would take 2 months and over 9000 kilometres, hugging the coastline. 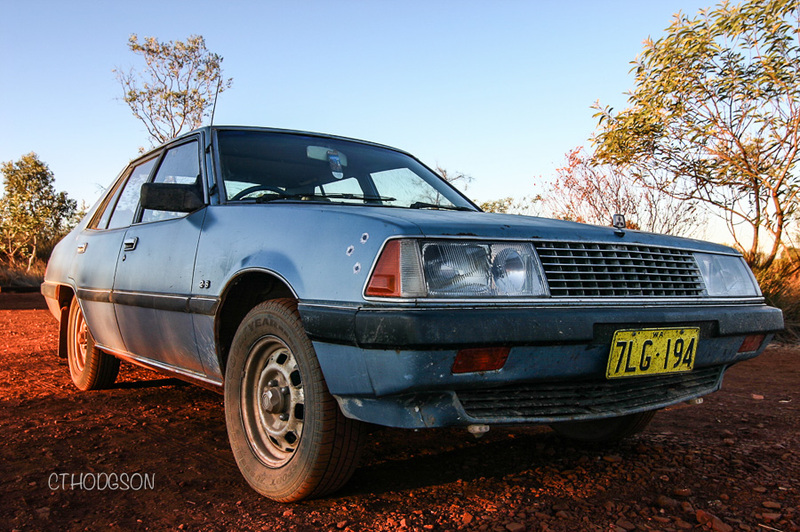 Our trusty overland vehicle wasn’t the robust stead we were hoping for, our budget left us with only one option: a 1982 Mitsubishi Sigma saloon car called Chad. The original plan had us buying a car/van in Melbourne, where we’d arrived a week previous. I can tell you now, Melbourne in July is cold! Especially if you’ve arrived from summer in Japan. One week of wintery Melbourne had us changing our plans and taking a flight to Broome, where the weather reports had it basking in hot sunshine. 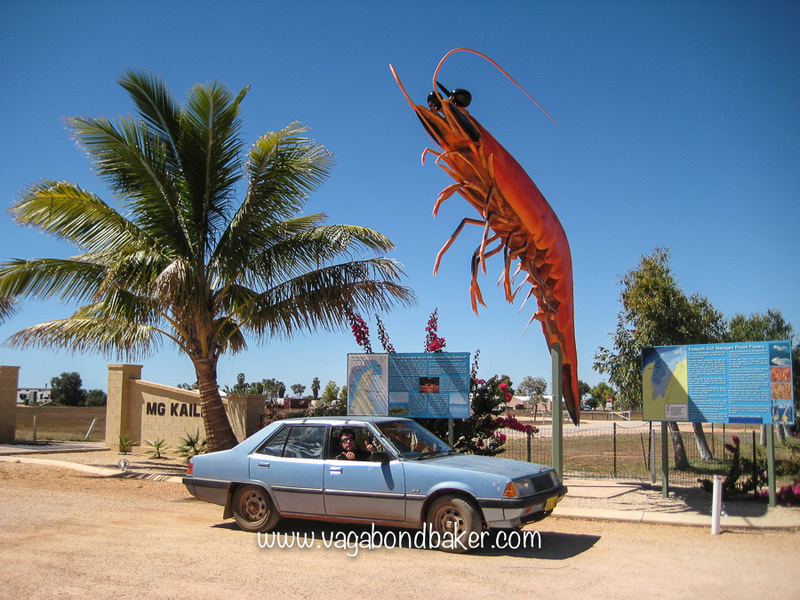 Unfortunately, we timed our arrival with Broome Races and found that we couldn’t extend our stay as all the accommodation was booked out for the weekend: we either had to buy a vehicle or find some other way of moving on. 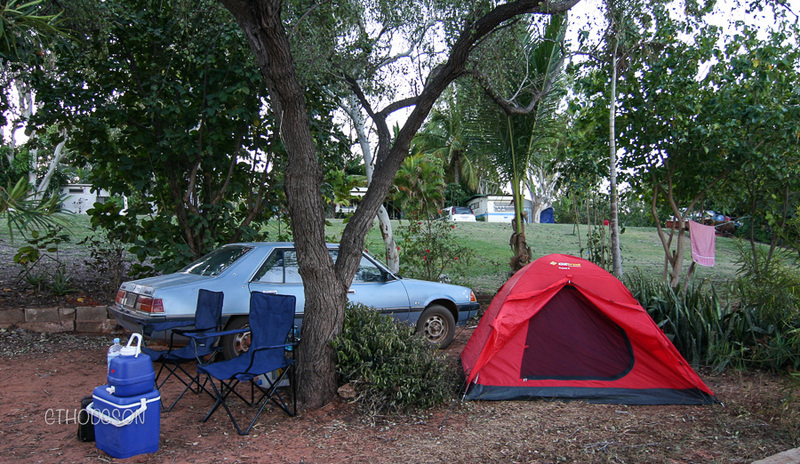 Chad was advertised on the hostel noticeboard, he was the only car under $1000 and he came with a tent. The two British girls we bought him from had driven him up from Perth, after buying him from another backpacking couple. Before that he’d had the holy grail of car history: one careful lady owner, in Margaret River. Chad was already a bit of a legend, he had his own Facebook page! We were going to take him further than he’d ever been, we were taking him out of the state! He was 26 years old, that’s pretty ancient in car years: that was going to be some mean feat. Would Chad make it all the way to the east coast? Setting off in the car on that first day felt incredible, we’d been at the mercy of public transport for 8 months travelling around the Middle East, India, South East Asia and Japan, now finally we had the ultimate freedom: our own vehicle to go wherever and whenever we wanted. Red stone, turquoise sea! 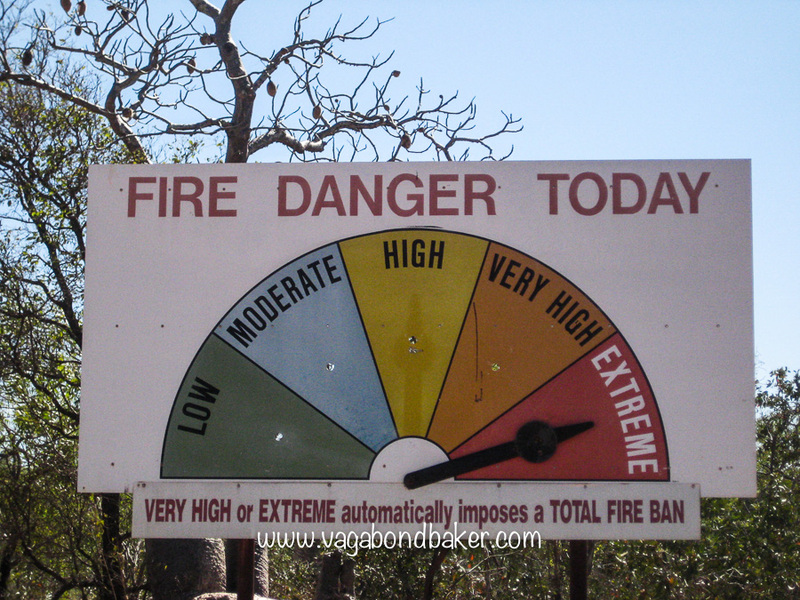 Near Broome. We headed north to begin with, a 200 km journey to Derby. A poker straight ribbon of tarmac fringed with rich red dusty earth. Chad came equipped with a tiny tent and we pitched up in a shady spot in the Kimberley Entrance caravan park before heading down to wharf to see the sunset. Our first drive had gone without incident and we were now road tripping for real, in a spectacular landscape: just the two of us, our retro car, a tent, and the open road. 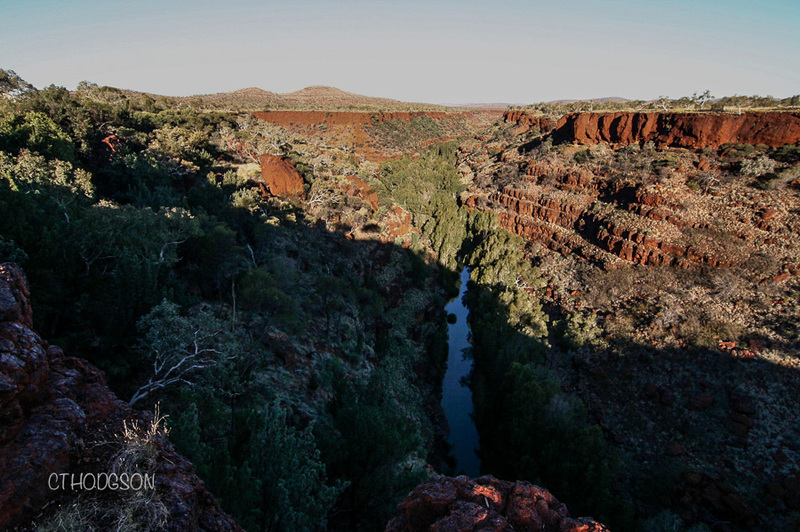 From Derby we set off towards the famed Gibb River Road hoping to reach Fitzroy Crossing in two days. 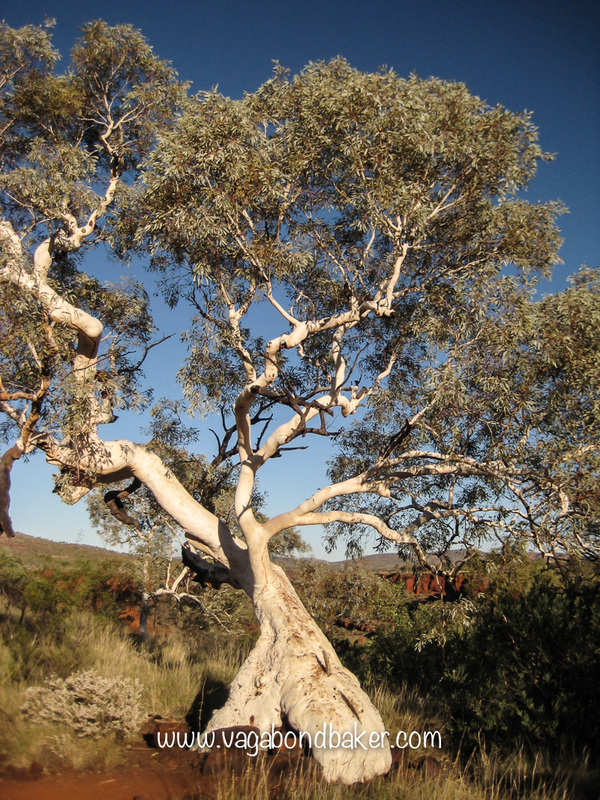 Before hitting the road we stopped briefly at the Prison Boab Tree: this huge boab tree was so named because Aboriginal slaves were chained to in on route by ‘Blackbirders’ in the 18th century. 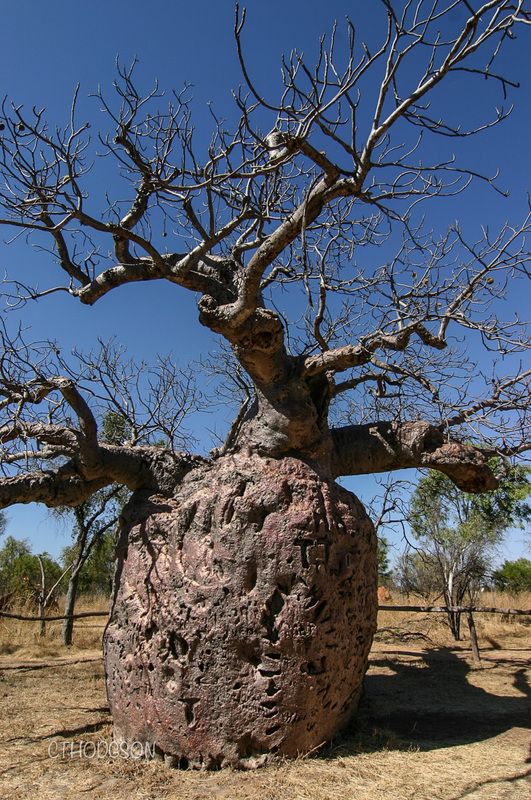 The boab trees peppering the landscape here are amazing, their fat bottle-shaped trunks are hollow and this particularly stout tree was over 14 metres in girth and around 1500 years old. 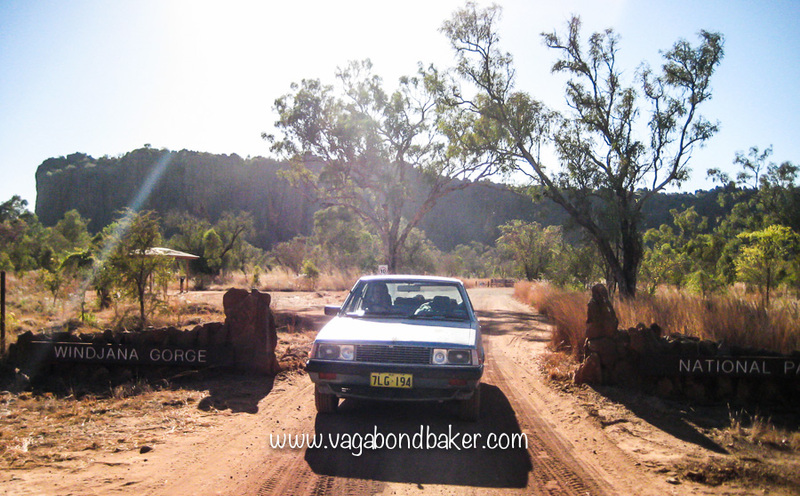 The Gibb River Road began well, it was paved for a good while but then the tarmac abruptly ended and we found ourselves juddering over a corrugated surface. 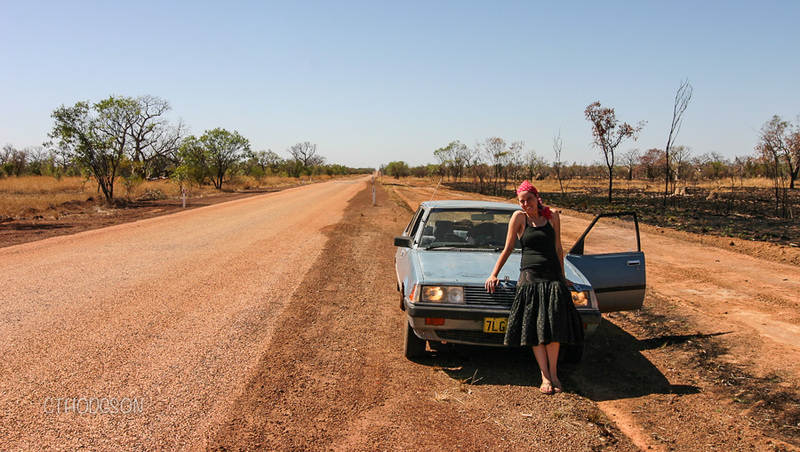 We debated turning back, Chad shook violently on the ridged road, our speed had dropped to a snail’s pace and every other car we saw was a 4wd. We were a little out of our depth in a very unsuitable vehicle. A quick check of the map showed we were fairly near the turn off for the Windjana Gorge national park so we limped on. The road was in the process of being completely black-topped and at stretches we were diverted off the road onto the smooth roadside which gave us some relief from the relentless vibration. Eventually the ridge of the gorge reared up in front of us and we pitched out tent in the National Park campsite spectacularly below it. Windjana Gorge was well worth the uncomfortable trip, in fact it was a highlight. 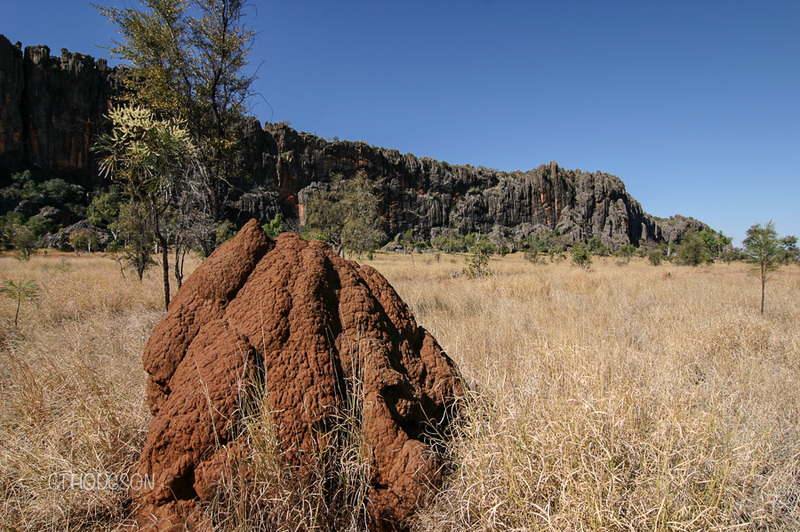 The ridge was formed millions of years ago when the entire Kimberley area was under the sea. One bit of the ridge has fish fossils imbedded into the gorge wall. The gorge was teeming with wildlife, little flocks of tiny social finches flitted from tree to tree and cockatoos filled the valley with raucous noise. In the wet season a river flows through the gorge but august is the dry season and there were just small pools. 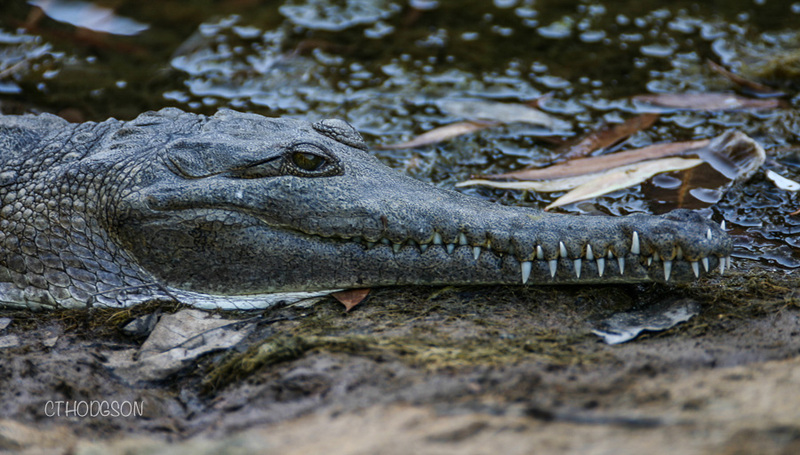 The pools were lined with freshwater crocodiles, they weren’t scarily big but they were still impressive. Trusty Chad got us here with a bit of shaking! That night we sat out under the most incredible night sky I had ever seen, there is no light pollution out here and I had never seen so many stars. And they were completely different to the stars I knew back home in the northern hemisphere! 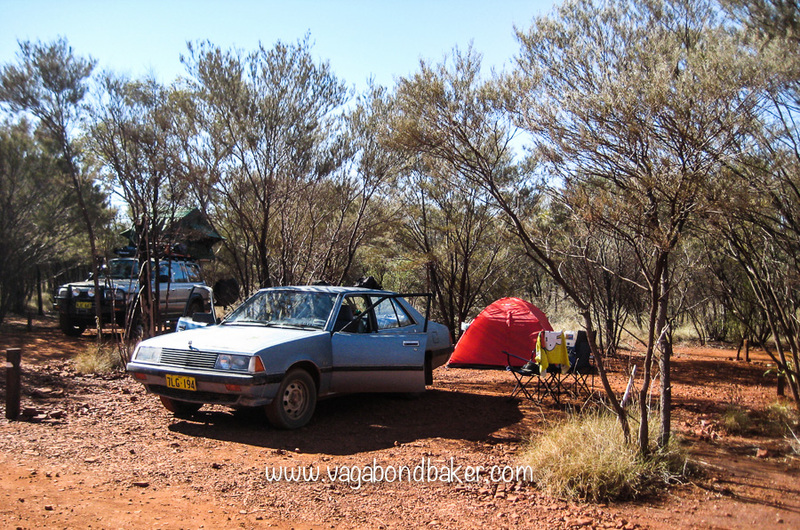 We chatted to some of the other campers the following morning and the general consensus was that the road got worse heading to Fitzroy Crossing so the only option we had was to retrace our steps back to Derby. The uncomfortable drive didn’t seem so long on the return journey, although we discovered we had a small problem with the car: the boot didn’t shut securely and the corrugated roads kept opening it as we drove along, covering the contents with a thin layer of red dust that got into everything. We taped it shut with gaffa tape! 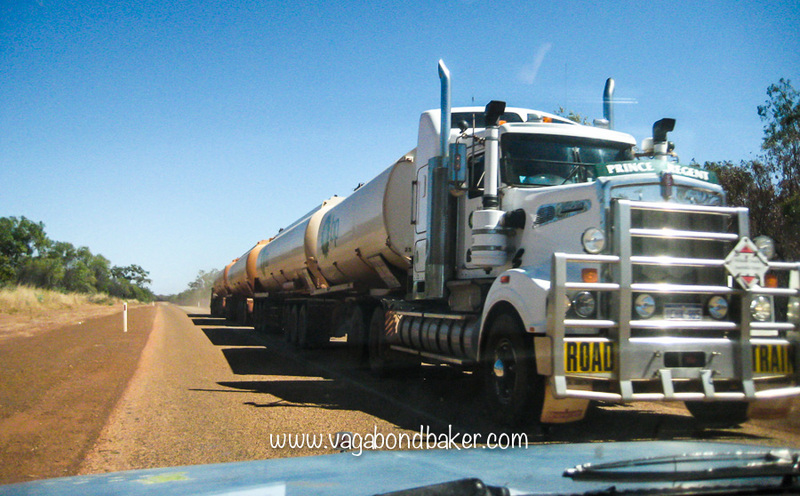 Mammoth roadtrains thunder along the roads out here! Back on the tarmac we continued back to Broome and camped there for a couple more days, stocking up on basic cooking equipment, sleeping bags and the such like before heading south, ditching our idea to get to Darwin. 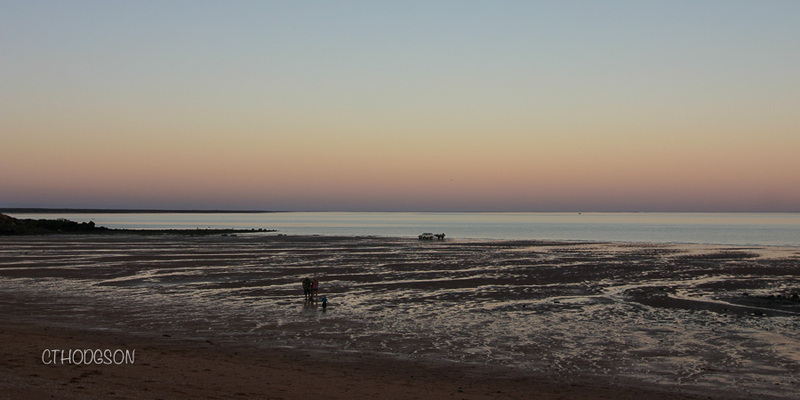 Broome is gorgeous, a lovely small town with a fabulous beach and glorious sunsets, it was great to spend a bit more time there without the stress of finding a vehicle. 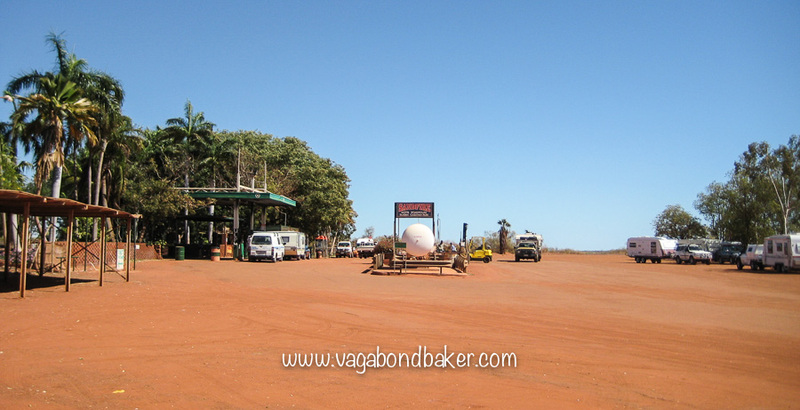 Between Broome and Port Hedland, the next town to the south, is a fat lot of not a lot! This was one of the longest stretches of driving we did on the whole trip: 600 km of straight road with very few landmarks or features. 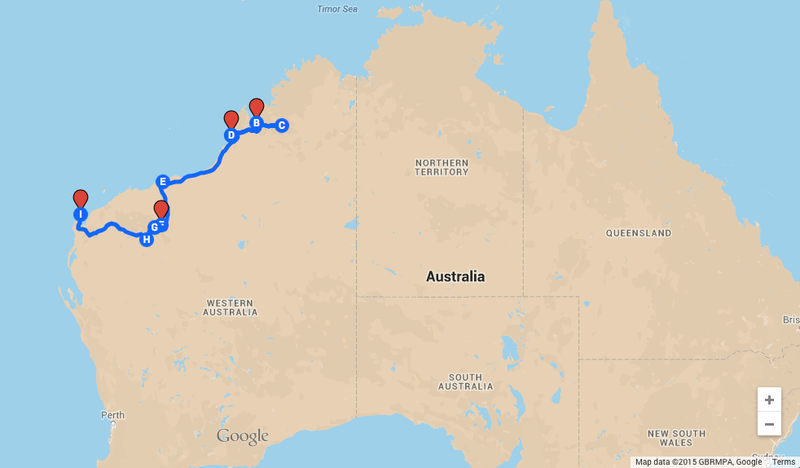 We stopped for expensive fuel at Sandfire Roadhouse, not the big truck stop we were expecting, then continued to Pardoo, where we stopped and made some lunch before pressing on for the final stretch to Port Hedland. After the wild magnificence of Windjana Gorge, Port Hedland could not have been more depressing if it tried. Port Hedland is an industrial town built around iron ore mining, and salt – we had passed the glistening white mountain of salt on the drive in. We had to stay the night as we’d driven far enough and camped for an extortionate rate at the town campsite. It was here in Port Hedland, filling up with petrol, that we discovered that we had a greater problem than the dodgy boot: the entire back lights of the car didn’t work. Well, actually they did work, just not as they should. They only worked when you braked; then, not only did the brake lights come on, the entire back panel of lights came on: the brake lights, the reversing light, the back lights! This was a problem, driving around in the dark with no rear lights was a no no. We’d have to make sure we reached every destination before nightfall, but at least no one could miss us braking! We escaped Port Hedland the next morning, driving inland to Karajini National Park. From the modern visitor centre we bought a 4 week Western Australia National Park Pass as we much preferred camping in their campsites over ‘proper’ caravan parks. 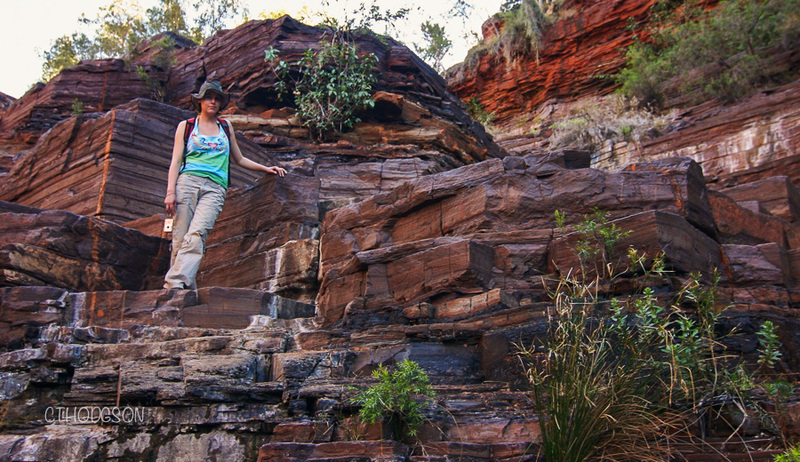 The low red hills of Karajini National Park are cut with deep gorges that can be explored via ridge walks and gorge trails. 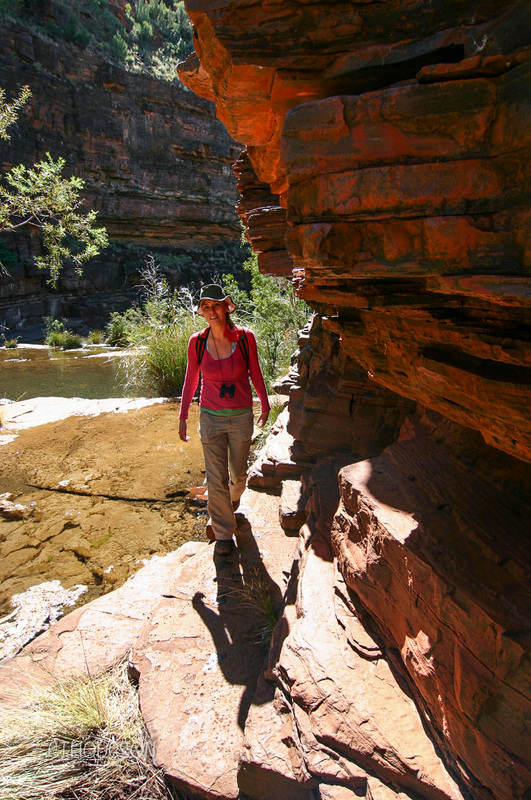 We walked to Fortescue Falls, which flows into a beautiful and dramatic gorge. Close up, the red stone is made of coloured layers: red iron ore, silica, and blue asbestos. 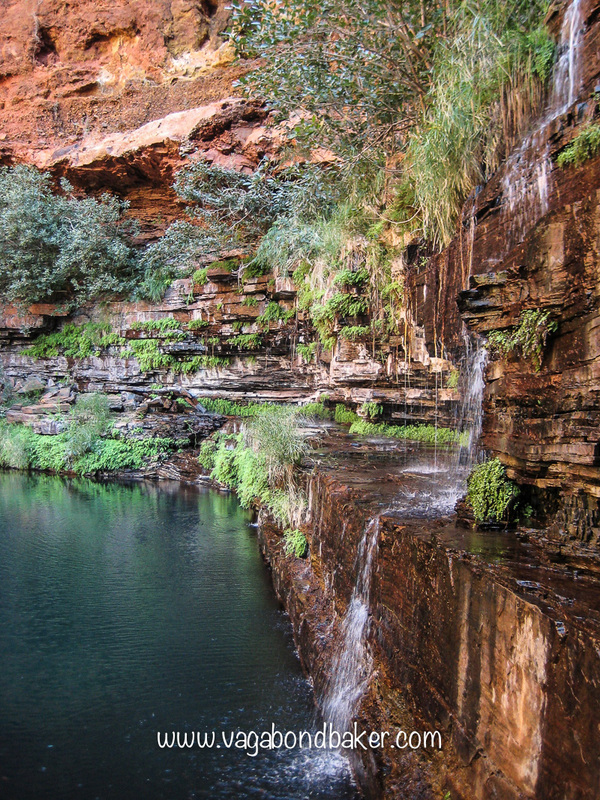 The trail took us down the falls and along to pretty Fern Pool where lots of people were swimming in the cold water. Chris had a dip, but it was too cool for me. Back up at the top we followed the ridge walk, giving magnificent views over the gorge. In the morning I took an early stroll out from the tent to visit the bush toilet (most of the NP campsites we stayed at didn’t have running water and had efficient drop toilets) and I spotted a dog, giving it a cheery but dozy ‘Good morning’. 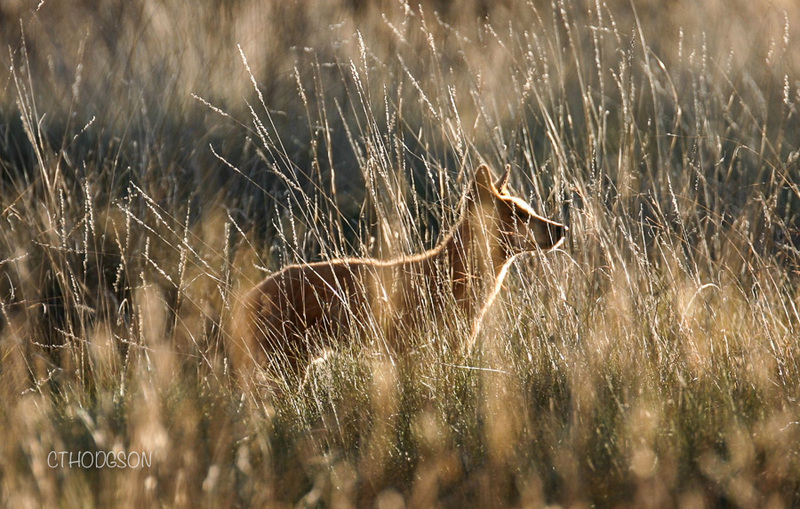 It wasn’t till I had passed it that I realized it wasn’t a dog, it was a dingo! 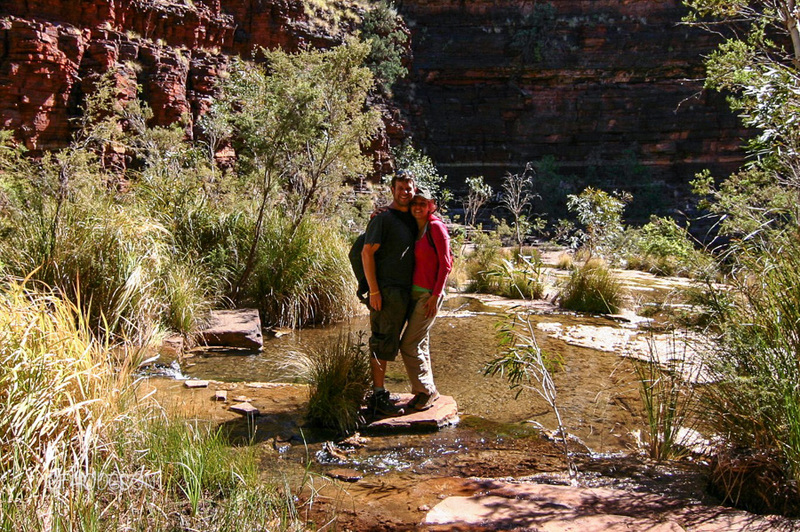 We stayed in Karajini NP for the whole weekend and while the days were hot, the nights plummeted to bitterly cold. We spent the evenings sat in the car for warmth and slept in our clothes as well as our cheap sleeping bags. On the morning we left Chad didn’t want to start, it was too cold. From Karajini NP we drove 650 km to Exmouth passing through Mt Bruce, stopping for fuel at Paraburdoo. It was a long drive from there, the road eventually took us up the edge of the peninsula with the ocean on our right. 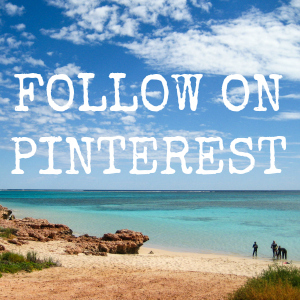 Have you been to Western Australia? 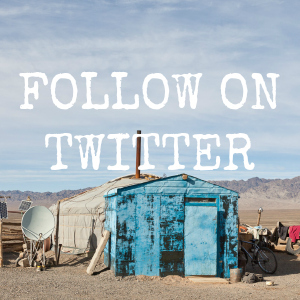 Would you attempt an epic road trip with an untested old jalopy like Chad? Would love to do something like that some day! I’ve never visited Australia, but this seems like the perfect way to do it! Thank you for sharing. You are welcome! It’s so amazing, well worth setting a couple of months free to set yourself free on these incredible roads! What a great read Rachel, the car lights episode really made me laugh 🙂 my mother-in-law lived in Broome for a few years so we went there a couple of times. 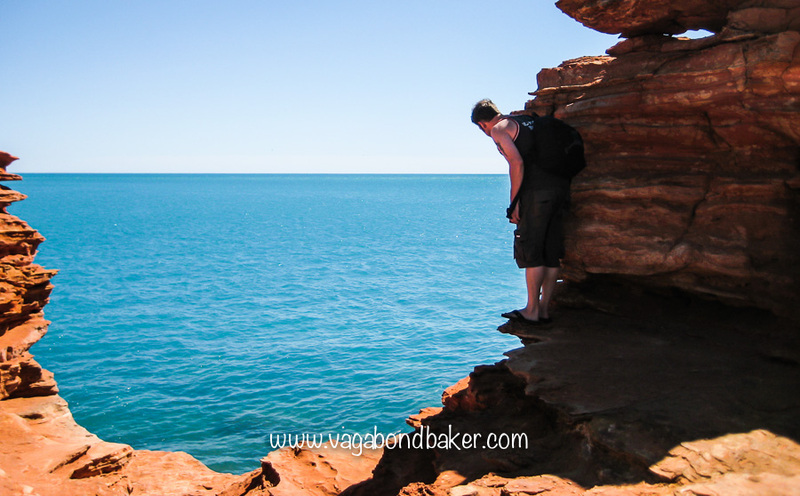 The first time we went we hired a 4Wdrive for three days and went and explored the Dampier Peninsular which is lovely. The second time we went Lorraine took us into the Kimberley and we went to Windjana Gorge, Tunnel Creek, Geikie Gorge, we also went to the Prison tree and Derby. How good though is Windjana with the crocs, I loved it and Tunnel creek was awesome. I haven’t been between Broome and the Pinnacles just north of Perth so need to explore that one day! The landscape rich red colours and the white sandy beaches are just so beautiful. 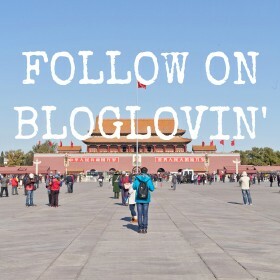 Thanks for sharing I look forward to the next post as I haven’t been to any of these places. Glad you loved it Jayne! Stay posted then, we hugged the coast all the way down to Perth, visiting the Pinnacles of course: needed a Chad pic in the Pinnacles! 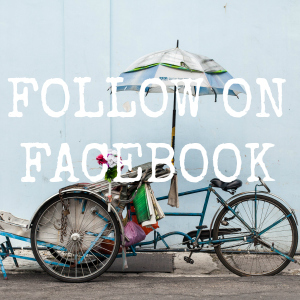 I will fill you in on what you’ve missed over the next few weeks! We intended of exploring more up in that Broome corner but Chad was a little too unsuitable for up there. Alas, another trip is needed! Haha, love this! It really reminds me of Dave Gorman in Unchained America. I definitely think you guys were brave, but the amazing scenery alone looks worth it! 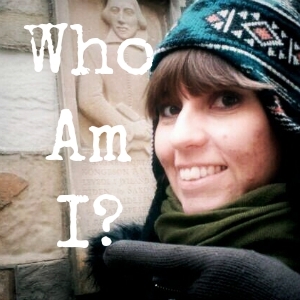 Yes Em, the whole Dave Gorman book reminded me of this trip! Although we were a lot more flexible with where we bought fuel! We didn’t feel brave at the time, we felt awesome but I think we both wondered whether Chad would make it! The scenery for the entire trip was incredible, and so varied! I’d go back in a shot, I loved it so much!